Cave diving pioneers began using the TGDAL acronym as an easy but important reminder for new and experienced cave divers to prepare for cave dives. Sheck Exley in 1977 espoused the use of guidelines, rule of thirds for air consumption and depth limits. Wes Skiles in 1984 added emphasis on staged training and use of three lights. 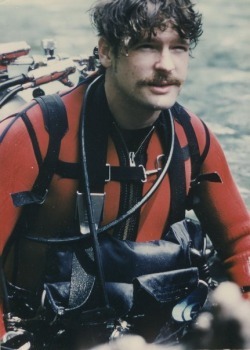 Exley and Skiles are credited to have inspired divers to come up with TGADL or for easier mnemonic, “Thank God All Divers Live”. 1. Training – Have the training necessary to do the dive. 2. Guideline – Always have a continuous guideline to the surface or to open water; a guideline or safety line always needs to be placed before venturing into new space. 3. Air – Divide your air by thirds; one for penetration, the next one for exit, and the third one for emergencies. Always reserve 3rds of your gas supply for emergencies; additional air supplies and turnaround times need to be observed as well. 4. Depth – Obey depth limits imposed by gasses, deco, training, etc. ; the depth dived can be fatal if not managed properly. 5. Light – The diver needs at least three lights. Aside from your main light, always have at least two backup sources of light. In more than three decades of exploration and record-breaking cave dives since the landmark book, divers around the world have added several more dimensions to the acronym. Training – It comes in four steps. Cavern, Intro to Cave, Full Cave and Technical Cave. Guideline – If a line is already established, a diver must still carry a minimum of a main exploration reel, and two jump reels. Air – For a dive in an explored cave, the rule of thirds will suffice. For an exploration dive in a new cave, the rule of fourths is observed. Depth – The maximum recreational limit for ordinary air dives at 40 meters is observed. If and when this depth limit is broken, a diver has to account for additional air requirements and the proper air mixes to reduce the risk of narcosis and oxygen toxicity. Light – The diver must also calculate the lumens and burn time of his three lights. No skill maintenance, practice, skills upgrade or lack of experience. Here, the TGADL gets a facelift. 1. Training – It comes in four steps. Cavern, Intro to Cave, Full Cave & Technical Cave. Bozanic-Skills maintenance is required as complacency kills. Bozanic-Solo diving is discouraged as this accounts for a percentage of new fatalities. Bozanic-The diver must be physical fit and should not have pre-dive medical conditions that increase his risk of dying during a cave dive. 2. Guideline – If a line is already established, a dive must still carry a minimum of a main exploration reel, and two jump reels. 3. Air – For a dive in an explored cave, the rule of thirds will suffice. For an exploration dive in a new cave, the rule of fourths is observed. 4. Depth – The maximum recreational limit for ordinary air dives at 40 meters is observed. If and when this depth limit is broken, a diver has to account for additional air requirements and the proper air mixes to reduce the risk of narcosis and oxygen toxicity. Bozanic-more divers were using different gas mixes and staging bottles. Improper staging and mislabeled bottles coupled with task loading ultimately led to cave divers making final mistakes. 5. Lights – The diver must also calculate the lumens and burn time of his three lights. Bozanic-Aside from intimately knowing the capabilities of the three lights, a cave diver must properly understand and manage new equipment and periodically maintain all these equipment. By this new decade, we have enough reminders about the cave diver and his equipment to reduce and safely manage the risks of cave diving. But one can ask where the reminder about the cave itself is? While the new and improved TGADL may suffice to remind cave divers of probable accidents or incidents, it is the cave itself that contributes much of the risk– it is the cave that separates cave diving from open water technical diving. The cave itself is simply forgotten in this acronym. Much like wreck caving, there needs to be ample data collection on the cave, its history, ownership and even historical and cultural heritage. Filipino Cave Divers, based in the Philippines, adds one more letter to this acronym. Thank God All Divers Live Long. L (ong) stands for Local. That is local knowledge of the cave which includes cave geologic characteristics and composition, water flow, depths, chambers, established lines, and important data from previous expeditions. This new letter in the acronym is added to reflect the need for the cave diver to properly study the cave and prepare for his dive inside its environment. Each cave is different and presents unique challenges to the cave diver. 1. Cave Characteristics-One should know cave geologic characteristics and composition, tidal influences, haloclines and thermoclines, water direction with respect to speed, laminar or turbulent flow, average and maximum depths of the chambers, and unexplored spaces. 2. Cave Guide-This letter also presses on the cave diver to seek a local cave diver or one with prior experience in the cave to act as his guide especially in the former’s first venture into a cave. It could be best to trace the last cave diver to have ventured inside the cave and get an update. 3. Cave Ownership-It also includes the essence of community preparation, which is information-sharing to the non-cave diving public and obtaining permission from the landowner where the cave is located. Each cave dive opens the underwater cave to the world, or brings the world inside the cave. This new “letter” brings to fore the importance of the cave and the community it belongs to. Thus for each and every cave dive, the experience is not just personal for the cave diver but becomes transcendental for the community as well. Safe cave dives in 2014 and onwards! Thank God All Divers Live Long! 1. “Accident Analysis in the New Millennium,” Jeffrey Bozanic, 2008. 2. “Basic Cave Diving: A Blueprint for Survival,” Sheck Exley, 2008. 3. Lake Bababu Underwater Cave articles, http://www.filipinocavedivers.com. 4. Hinatuan Enchanted River Underwater Cave articles, http://www.filipinocavedivers.com.